This 18" long necklace gives any outfit a dazzling upgrade! 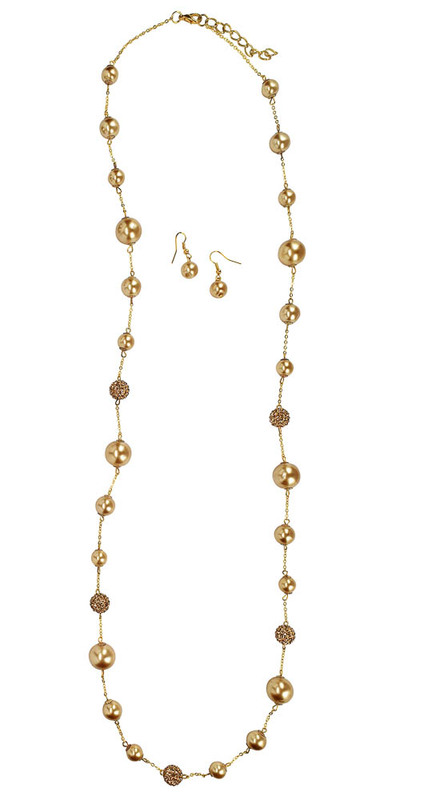 The faux pearls are a beautiful champagne color, and the accenting rhinestone balls are champagne and gold-tone. The chain is gold. Earrings are included! Worn here with our "Lucy" Dress in Dark Forest Green. Also paired here with our Champagne Pearl and Rhinestone Bracelet and our Champagne Crystal Beaded Bracelet.